Heritage Landing is a popular boat launch and day use area. It provides access to the Deschutes and Columbia Rivers. This is where river guides meet their clients, families gather to head out onto the Columbia River for salmon fishing or water skiing, and everyone collects to share the excitement of their big catch. 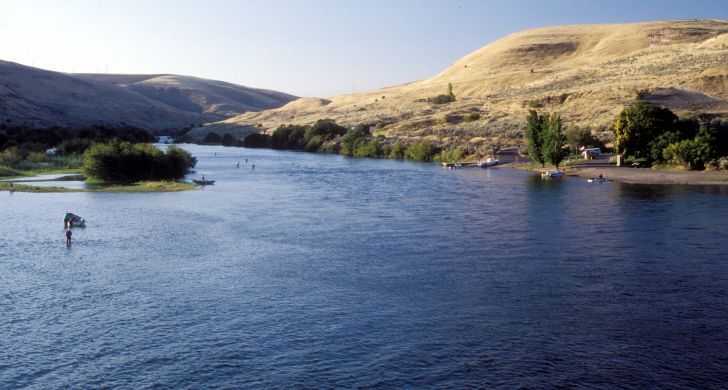 Jetboating is allowed on the lower segment of the Deschutes River all year around except alternating weekends from June - September; boaters passes are required. See the park FAQ for information about Boater Passes. 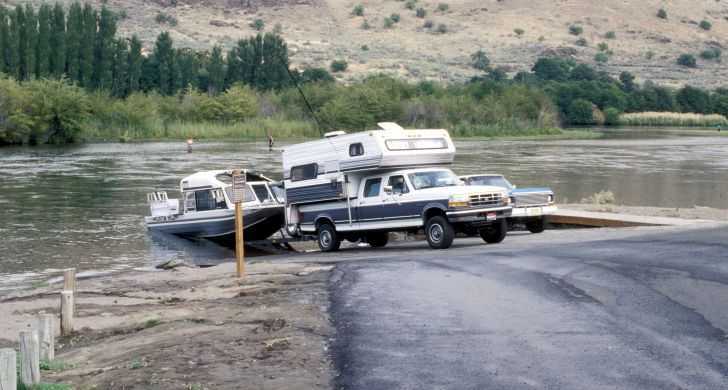 The lower 2 miles of the Deschutes River is a PASS THROUGH zone for boaters, which means that all floating craft, except float tubes, may not stop along or tie up to the riverbank except in an emergency. This provides fishing access for the many hike-up anglers that depart from Heritage Landing and use the river trails.